It has been a while! Hasn't it? After a very successful Easter weekend, consuming far too much chocolate and drinking equal amounts, I am now counting down the days until Summer - bring on the sunshine! 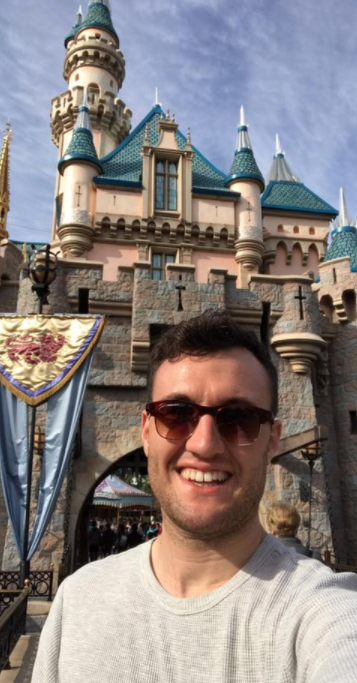 My good friend Dan has been keeping very busy this April, with a once in a lifetime trip to California nevertheless! Naturally, as a fellow Disney fan, Dan spent a part of his trip at Disneyland and Disney's California Adventure - I was very jealous to say the least! Enjoy it and as ever, if you have any questions for Dan or I, please let me know in the comments section below. Mercedes: Okay so before you went to Disneyland, what were your expectations of the park? Did you have any preconceptions? Dan: My first preconception was that everything would be small as I knew that it was the original 'Disneyland'. When I first got to California, I would be chatting to locals and they'd ask "What are you doing for the rest of your trip?" 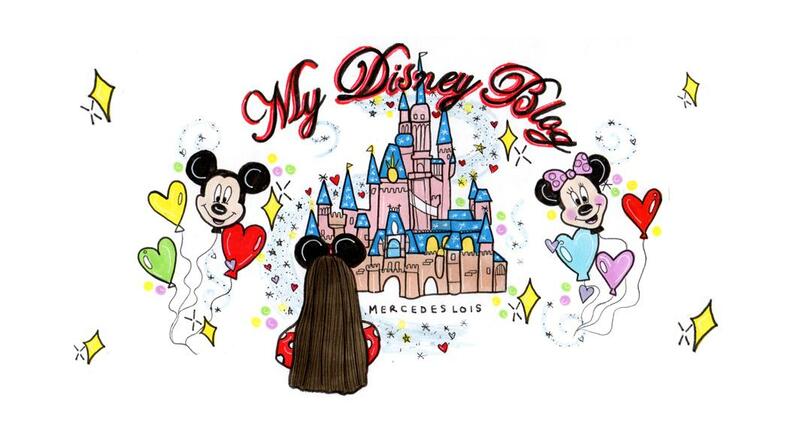 and I'd say "I'm going to Disneyland", and then they'd explain that it's really small compared to Florida, I guess almost in the same way that we think about Disneyland Paris. 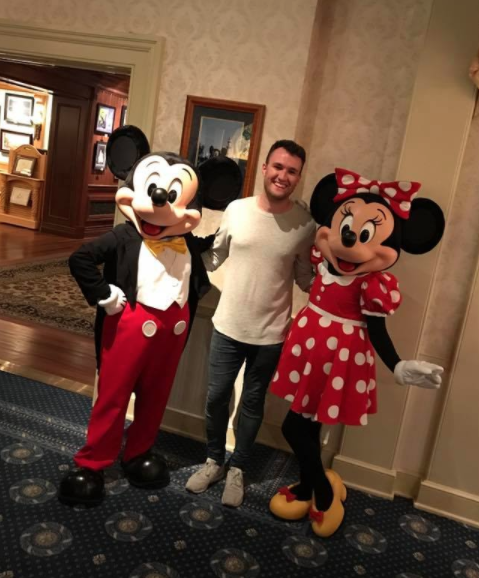 Dan: I also noticed that the relationship between Disneyland in Anaheim and local Californians, is very different from any other park that I have been to. For them, it's a 'local', casual, fun thing to do. 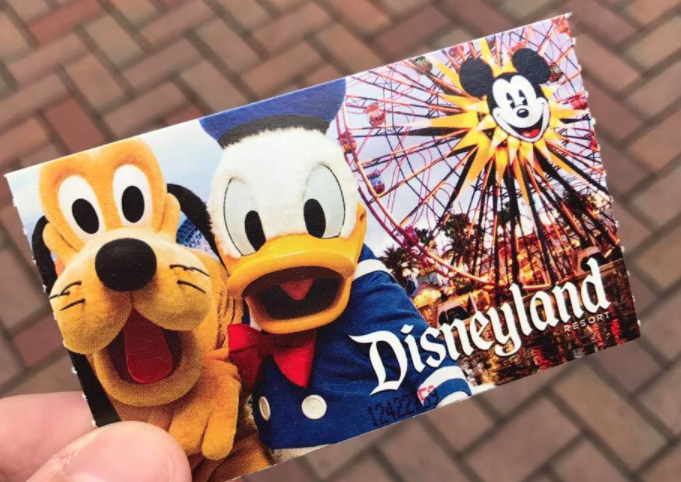 For the majority of Californians and South Californians, they are Annual Pass holders as they go so regularly. It's like a "special club" if you have an AP. 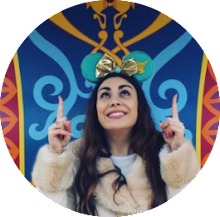 Whereas, I think people only get APs for Disneyland Paris if they are huge Disney fans. But yeah, everybody said to me that I'd love it but that it is very small and more 'homely' than the other parks but I liked the sound of that! Mercedes: Okay, so from how you have described that, do you kind of mean that for Californians, going to Disneyland would be like you and I going to Thorpe Park or Legoland at the weekend? Dan: Kind of. I mean, Anaheim is just a town. It's not like in Orlando where Walt Disney World is it's own location and you have to drive to get there or even in Disneyland Paris to an extent as that isn't located close to anything either, it's next to countryside so you have to drive there too. Whereas in Anaheim, you come off the highway and there's a school, and then a little lane that says 'Disneyland' and you walk down it and you're suddenly in the middle of both parks! It is very weird that when you get there, everybody pretty much is a local. 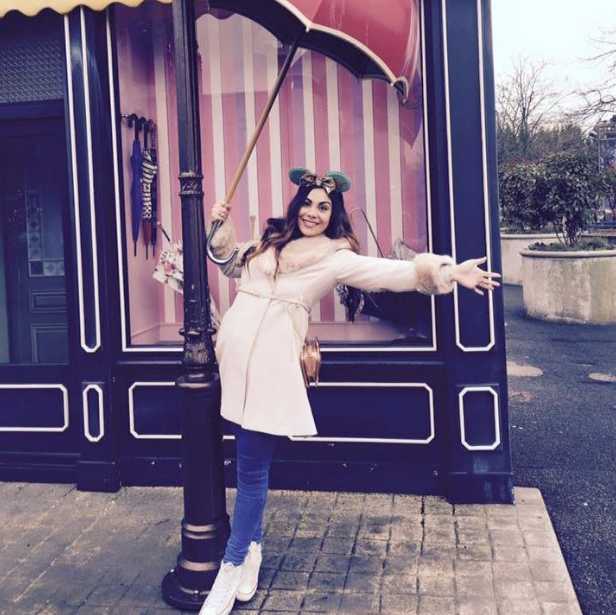 All of the cast members cross the road at the end of their shifts and live in the housing area opposite! To get there it's around a 45 minute drive from Central L.A. so it's quite a quick place for people to get to as they all drive in California! And it's better than Thorpe Park... obviously. Mercedes: Haha! Okay, so you said that your preconception would be that it would be really small, and from what you've touched upon, I guess that is what you found? Dan: Yeah. When we got there, we found that everything was just much 'daintier' than anywhere else. Unlike Orlando's Magic Kingdon entrance which is busy with hundreds of people, a big monorail and a ferry, the entrance to Disneyland had one small security line, some tiny little arches and a small Main Street Train Station. It was the shortest Main Street U.S.A. that I have ever seen too. It pretty much just had two little blocks of shops and then the Castle which you can't even really see when you walk through the gates, you have to really squint! You can see trees behind the Castle and also, the backs of the Peter Pan ride and the Matterhorn. I remember thinking, "Oh, everything's really tiny here." You can see with the newer parks that they have figured out that sense of perspective in the way that the buildings get smaller, a little trick of the eye! But in Disneyland, there is no trick of the eye, everything is just small! 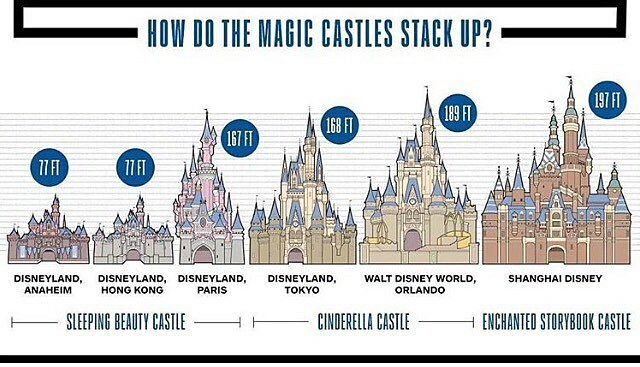 How does Disneyland's Sleeping Beauty Castle compare to others around the world? Mercedes: I see. 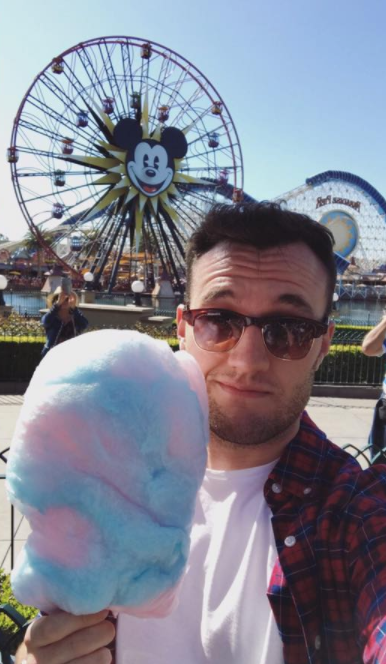 And you went to California Adventure too? Mercedes: Great! Does it feel more like Orlando or Paris to you as it's a lot newer than the original Disneyland? Dan: California Adventure is strange because way back in the 1950s, Walt Disney didn't buy enough land to be able to expand Disneyland too much, so they are quite land locked with the space that they've got so I feel that they've been quite lucky with California Adventure in that it still feels like a 'big park' and they have been able to expand it a lot in the last five years with the addition of 'Cars Land'. California Adventure doesn't feel like any other park that I have been too as everything their is unique to that park, it's really cool! In a weird way, it's like a mix of all of the Florida parks... so the 'Hollywood Land' reminded me of Hollywood Studios and even the signage uses the same typefaces as the old MGM signs. Cars Land is really cool; you feel like you're walking through the movie. 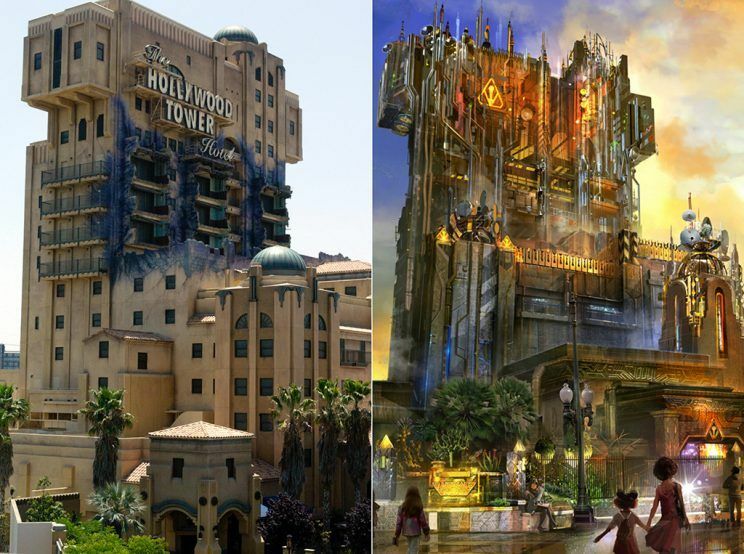 Then they have all the classic attractions such as Tower of Terror, which is now Guardians of The Galaxy, and Soarin', so it is really weird and feels almost like a mash-up! The atmosphere is great and everything looks really slick. They recently did a re-imagining of everything so it looked really new and updated. It's a really, really good park and it's definitely one of my top 3 favourite parks now! Mercedes: Oh WOW. Amazing. That's really cool. Now, you've mentioned Guardians of The Galaxy so I have to ask you about that! Dan: Okay. So before I start I have to explain that obviously in Florida everything is kind of 'hidden' and there's this whole concept that you should never be in Fantasyland and see a Tomorrowland Cast Member or a Pirate and you should always have to travel to a different area before catching a glimpse of it. This is not the case in California. There are no rules. You can see everything from everywhere. In the Disneyland Park, I was standing where they're building the new Star Wars Land and it's at the back of Big Thunder Mountain! So whilst on the ride, you'll be able to see Star Wars Land once it's built! Dan: I found it a bit weird. But basically, everybody is worried about Guardians of The Galaxy ruining the skyline and the kind of 'Hollywood' aesthetic, I kind of feel it doesn't matter because everything in that park is mixed up. You stand at the entrance and you can see Cars, A Bug's Life and now, Guardians of The Galaxy so all the rules go out the window! I looked really cool anyway. Mercedes: Is it not open yet? Dan: No, it's not open until May. Mercedes: Ooooooooh, that's a shame! Dan: Yeah. It does look really cool and I think that in that area, there is a theatre, the Monsters Inc ride and now, Guardians of The Galaxy so it doesn't feel out of place as that whole area is a miss-match of films. Dan: I don't think it matters. Everybody that was freaking out - get over it! Mercedes: Fair enough! What was the best, 'unique' attraction that you went on in Anaheim? Dan: My favourite was probably, all in all... well, I would say Hyperspace Mountain but now that's everywhere so that doesn't count! I'd probably say Indiana Jones. It was incredible. It's very much like Dinosaur in Animal Kingdom... you're in a big, jeep style vehicle and you go through a forest and a cave and you get deeper and deeper, the car is moving around so much! It's quite intense! It's like Temple of Doom with fire, things falling, everything goes black! It was very thrilling and I wish they had it elsewhere as it was so good. 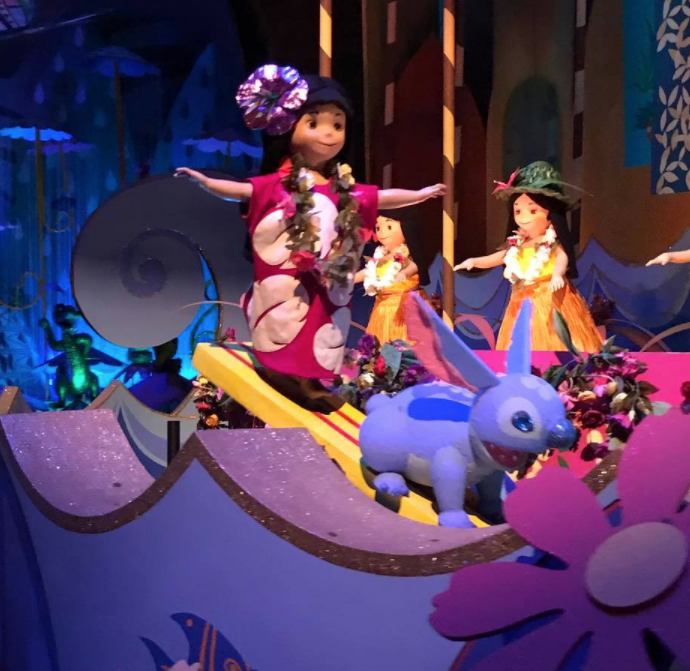 Dan: Obviously all of the attractions that were there were the first, original versions although It's A Small World has recently had some character additions including Aladdin and Jasmine in the Arabian area and Pinocchio in Italy. I really liked the California version of Pirates of The Caribbean; the narrative was back to front ending in the prison in comparison to Paris where you escape the prison which is more like the movie.